"I became an attorney because of my interest in real estate and business, but mostly because I wanted to help people and make a difference in their lives. While in law school I also discovered my passion for bankruptcy, which is closely related to business and finance. For over 30 years I’ve had the privilege of helping others through some of their toughest times." David J. Winterton, Senior Counsel, has been practicing law for over 30 years. He focuses primarily in the areas of bankruptcy, corporate structuring, corporate reorganization, real property law, and civil litigation. In addition, he was the lead attorney for the Unsecured Creditors’ Committee for the Aladdin and Riviera. Which means he collectively represented hundreds of unsecured creditors as a whole. He was also one of the lead bankruptcy attorneys for the debtor, Maxim Hotel & Casino, as well as many other multi-million dollar corporations. Whether you’re a large corporation or an individual needing simple legal advice, Mr. Winterton’s expertise expands to cover all clients and legal needs. Mr. Winterton has successfully obtained millions of dollars awarded to his clients, including a jury verdict of $10.8 million in a real estate case. Additionally, he has considerable experience representing bankruptcy clients in litigation, and he has also represented numerous homeowners and homeowners’ associations. Mr. Winterton is also a Certified Arbitrator within the Court Annexed Mandatory Arbitration Program and has served as an arbitrator in approximately 150 cases. This experience has given him an edge when going to trial because he completely understands where a judge may be coming from. He has also lectured at various seminars accredited by the State Bar of Nevada and the American Bar for continuing legal education. 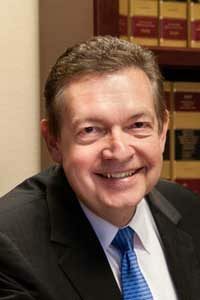 He is also the originator and first president of the Bankruptcy Section of the State Bar of Nevada. Mr. Winterton is respected in his field for his expertise. Most clients would describe him as having a calming influence that brings a sense of assurance and peace during their most difficult struggles. In his free time, Mr. Winterton enjoys running, golfing, traveling and serving with the Boy Scouts of America. He is an avid sports fan, and enjoys attending sporting and cultural events with his wife and two daughters. The 2018 Top Lawyer AVVO Rating, recognizing that David J. Winterton has been widely recognized by the legal community for excellent professional conduct and experience. The 2017 Top Lawyer AVVO Rating, recognizing that David J. Winterton has been widely recognized by the legal community for excellent professional conduct and experience. A special letter from Senator Harry Reid recognizing Mr. Winterton for the accomplishment and exemplary dedication he has demonstrated throughout his career; and numerous other awards in the past.